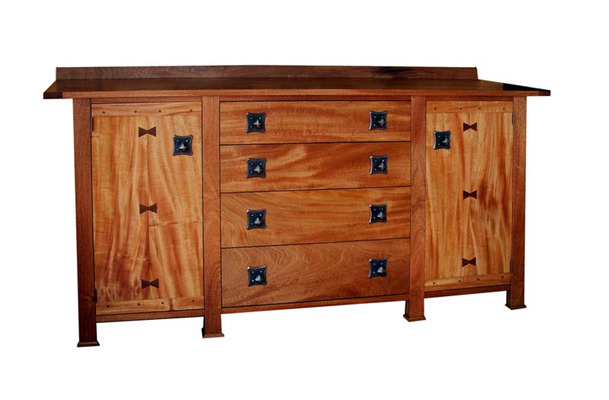 Arts & Crafts Style sideboard in Honduras mahogany. Fine figure in the wood and an excellent hardware selection by the client. Part of a suite of enclosed porch furniture for semi formal dining in a 'glass room' situation.